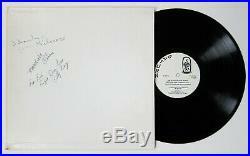 SUN RA “Omniverse” SATURN 91379 3 SIGNATURES (witnessed) & ORIGINAL concert poster! Cover signed by John Gilmore, Marshall Allen, Billy Bang! The provenance is perfect, signatures witnessed at the Live show at the University Of CT (UCONN), OCT. We include an original concert poster/flyer from that show! Side A : “The Place of Five Points” “West End Side of Magic City” “Dark Lights In a White Forest”. Side B : “Omniverse” “Visitant of the Ninth Ultimate”. 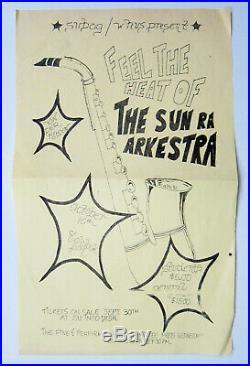 The item “SUN RA Omniverse SATURN 91379 3 SIGNATURES (witnessed) & ORIG concert flyer” is in sale since Tuesday, March 19, 2019. This item is in the category “Music\Records”. The seller is “retroette” and is located in Woodstock, Connecticut. This item can be shipped worldwide.